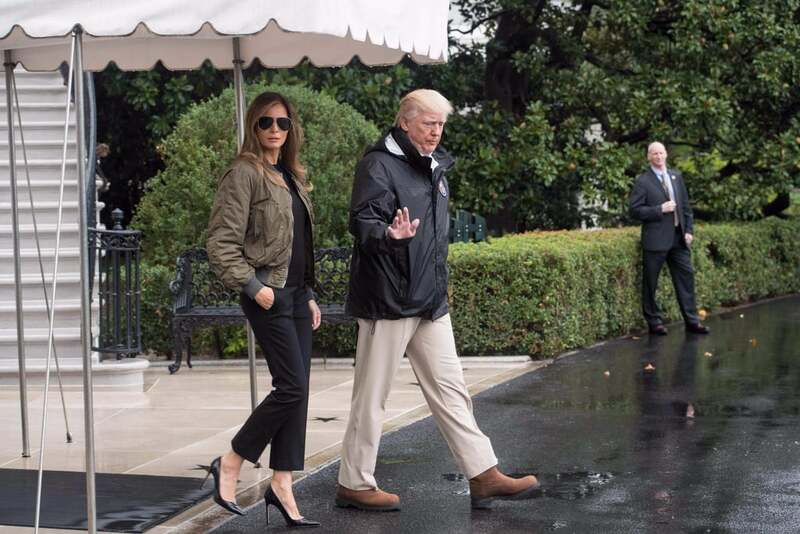 Update: Manolo Blahnik commented on the heels Melania Trump selected to wear for a visit to Texas following Hurricane Harvey. 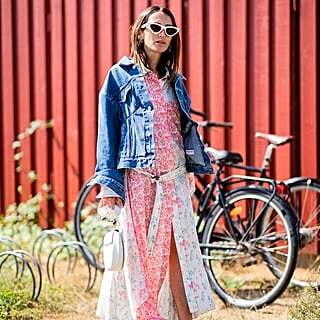 The designer told Harper's Bazaar UK, "I don't think she's insensitive. I think she's working non-stop to make it work — possibly she was just wearing the shoes she left New York in. Yes, I think probably she could have worn Hunter boots but she was wearing what she was wearing. I'm not good at advising people on what to wear because they wear what they want to . . . In terms of fashion and beauty — well, I love her, she's a beauty and that's all there is to it." 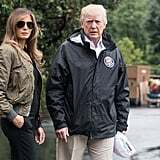 Original Post: As Melania Trump joined her husband to board Air Force One and head to Texas — where the First Couple visited victims of Hurricane Harvey following the storm — she was photographed down to her shoes. This is as per usual, of course, but close-ups of her heels made their way around the Internet, and Twitter users couldn't help but comment on her latest fashion move. 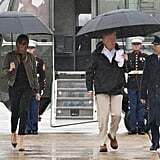 While her olive bomber jacket might have been appropriate for the rainy weather in Maryland (combined with black separates, it was a muted look for somber travels), Melania's Manolo Blahnik stilettos were far from sensible. 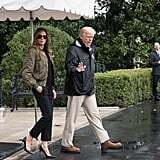 In fact, they outraged many people who called out the obvious: so many citizens lost their belongings, and for Melania to step out in luxe designer footwear can certainly be considered insensitive. Read on to catch a glimpse of her outfit, and check out those decidedly functional brown suede boots on President Trump, then see the controversy this all invited.